HBO has finally set a premiere date for True Detective season 3, which looks to rebound from the decline suffered in season 2. HBO has released the first trailer for True Detective season 3, which arrives in January 2019. Some of TV's most popular shows are taking the time to get things right which means there are big delays in upcoming seasons. Leatherface star Stephen Dorff has been cast as the co-lead in HBO's True Detective season 3 alongside Mahershala Ali. HBO gives True Detective season 3 the green light with Mahershala Ali to star in a story that spans three different time periods. HBO is getting close to officially green lighting True Detective Season 3 as the network sets out to secure episode directors. HBO is slowly creeping towards True Detective Season 3 and has a leading man in its sights. HBO executive Michael Bloys teases that Season 3 of True Detective isn't 'dead' yet, but there is nothing official in development. Matthew McConaughey says he misses his True Detective character, and says he would return if Season 3 was done in the right context. Writer/producer Nic Pizzolatto explains how things were set up in this week's big climax, and teases new possibilities for next year. Matthew McConaughey's Rust Cohle would rather skip out on spirituality than face god in times of wickedness. Debuting Sunday, January 12 at 9 PM ET on HBO. 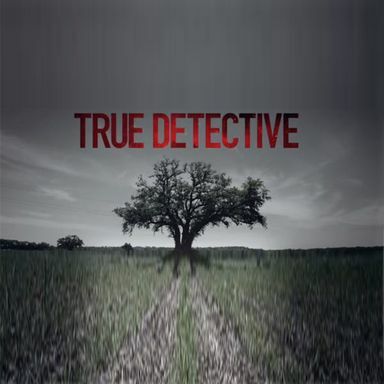 Learn about the problems plaguing detectives Rust Cohle and Martin Hart. The HBO series debuts Sunday, January 12 at 9 PM ET. A 17-year-old murder case gets reopened in this upcoming HBO drama series. Plus, we have an extended behind-the-scenes featurette. Touch darkness, and darkness touches you back. Woody Harrelson and Matthew McConaughey star in this upcoming HBO series, debuting January 12th. Meet retired detective's Coehle and Hart, who are pulled back into the line of duty. The 17-year search for an elusive killer continues in this HBO series. Matthew McConaughey and Woody Harrelson star as two Louisiana detectives. This new HBO series debuts Sunday, January 12th.